We tend to treat people as we wish to be treated, and good leaders take it a step further and treat others as they want to be treated. I think a fundamental difference between boss and leader is that a boss makes decisions and treats others from the point of view of the boss – meaning what’s best for them, the company, etc. A leader looks at the situation from the employees’ point-of-view, treats them the way they want to be treated, and takes all factors into consideration when making decisions. There is no manual for being a leader, but if you’ve had a good boss, you’ve seen good leadership. 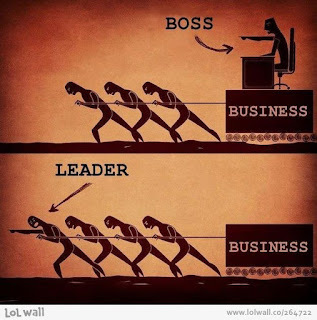 Would you rather work for a boss or a coach? Which do you think your employees would prefer? If you answered “coach,” you are on the right track. Here are some helpful ideas of how to become a better manager by being a coach. 2. Before you jump in with all the answers, ask what your employees think. 3. Find out how people learn best. Some people need hands-on supervision; some people like to learn by watching first and then doing. Some people like to jump right in, make mistakes and then come to you when they have a question. Some people like to read about things and like to be referred to courses or manuals, etc. Some people won’t learn by reading at all. Everyone learns differently, and as a manager, you are the one primarily responsible to see that people learn how to do their jobs with excellence. It’s not the job of the training department, which is there to support you, not do all the teaching for you. Most managers mistakenly assume, without ever realizing it, that everyone learns the same way they themselves do. Very few managers ask people how they learn best, and so most people, when asked, don’t know quite know how to respond at first – they have to think about it. Go ahead and ask anyway, and make them think! Just by asking, you’ll help them take more responsibility for their own learning while also getting a sense of how best to manage them and guide their growth in the job. 4. Praise in public, but correct in private. No one likes to be embarrassed in front of others. A manager who corrects an employee in front of others doesn’t just make one enemy, he makes a whole roomful. 5. Don’t try to be everyone’s friend. Be friendly and pleasant, but keep your friendships out of the workplace. 6. Don’t manage by email. 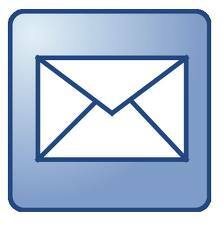 Email is good for conveying basic information, clarifying simple inquiries, scheduling things, etc. But email is a blunt communication instrument, and not very good when it comes to anything that can involve or incite emotion. Stay away from it for matters of coaching or any conflict. It will only make things worse. Talk on the phone or, better yet, in person for anything of importance. Let them ask questions, see your eyes and hear your tone of voice whenever you can. Good leaders hold themselves and others accountable, listen well, mentor, consider multiple opinions before making decisions, and keep the goal in sight. They “lead” others there with them, they don’t “boss” them around to make it happen. No one wants to be bossed around, but few object to being led.